Steven (Chicagoland, United States) on 9 January 2017 in Landscape & Rural and Portfolio. From the Archives........Photo taken January 1, 2010. 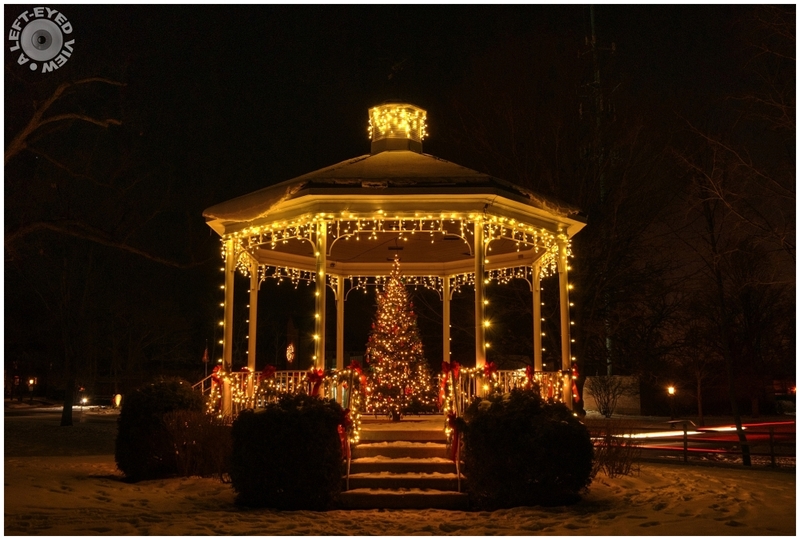 A gazebo in Lake Bluff's central business district decorated with holiday lights, garlands, bows, and Christmas tree. Que ce devait être beau ! What a lovely idea this was . . I know a gazebo/bandstand near to me that could have adopted this so well. A wonderful night shot, with perfect symmetry and composition and charming details. What a charming image here Steven. Excellent night image. Ce kiosque est magnifiquement bien décoré. C'est magnifique ! Quelle bonne idée d'avoir illuminé ce kiosque ! Very beautiful in the night ! Superbe prise de vue nocturne! Nice night capture, lovely place. So beautifully decorated! The clarity of this night shot is excellent... superb visual!! Great shot! I love it Steven! Such a gorgeous photo, very nice depth and colour ! That's beautiful. Surprising the vandals have left it alone. a lovely Christmas decoration. with your recent Mackinac photos, I wondered whether you had made it to the Island for this shot. The 5 second shutter speed sure gives nice red streaks as added beauty. Christmas? Now? It's late for Christmas now. Right now it's time to think about Carnival. The five seconds were very good used. Very beautiful image. Great work with light.